Receipts are an important part of every business, and they are essential for record keeping. 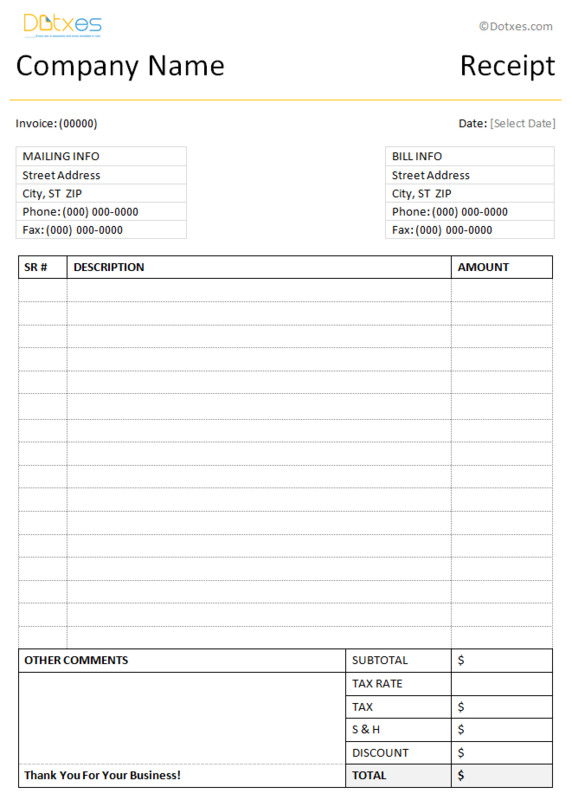 You can create a simple receipt through the help of this simple receipt template, a receipt that has a professional appearance that will help your company look better. This simple receipt template can be customized to fit whatever needs you have, so you can change it up for your company and your customers. The template includes space for the order amount, including the subtotal and the final total. The receipt gives a professional appearance, and it is easy enough for anyone to create one using this template. Always include all of the relevant information. Include a subtotal amount and then a total amount. Include the name of your company or business. Create multiple copies of the receipt so that all of the involved parties can have their own copy. Customize the receipt to fit your needs.